This isn’t like any other cruise or event. 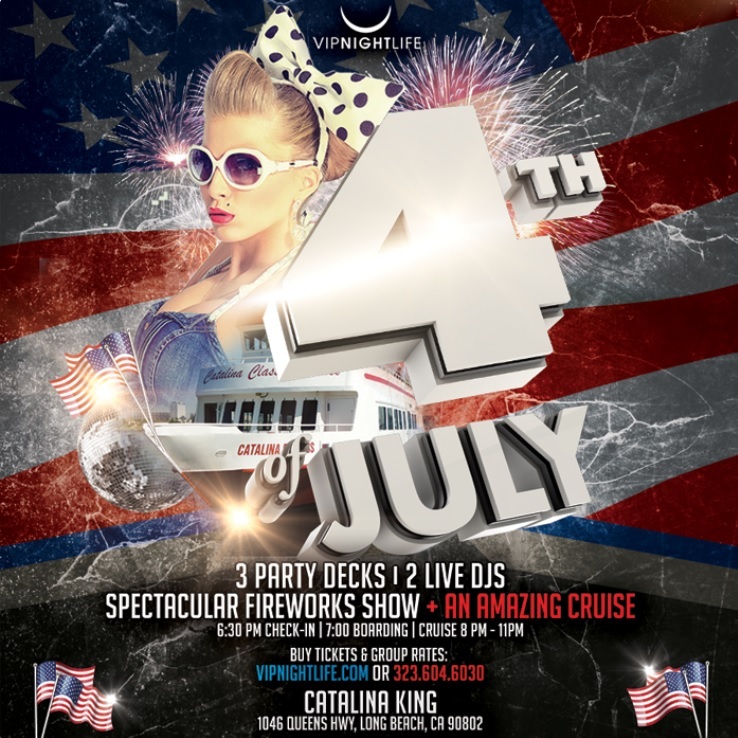 Catalina Classic Cruises & California Nightlife’s mission is to make sure our Pier Pressure Yacht Party is a perfect one for you and all your friends so join us the ultimate party cruise and call us today if you have any questions or need assistance: 323.604.6030. So don’t be shy to have the time of your life on Long Beach’s #1 rated yacht party for Memorial Day Weekend! DRESS CODE: Strict dress code is enforced for all ticket-holders. Venues reserve the right to refuse entrance or service to any and all ticket-holders their agents deem not dressed appropriately. One venue’s dress code may be stricter than another venue’s dress code. Upscale club attire is required; look sharp, dress to impress. This includes being well groomed and having a clean, polished look. Footwear must be clean and nice: no tennis shoes. No ball caps allowed. Men are suggested to wear fitted attire, collared shirt or dress shirt, nice pants and/or dress pants, dress shoes, jacket. Ladies are suggested to wear dresses or skirt outfits; nice skinny jeans or upscale legging outfits are okay if they can be really dressed up. Ladies are suggested to wear footwear that looks good but that they can dance in and move comfortably in throughout the night. Ladies are suggested to leave their big purses and clutches at home and to have a nice small cross-body purse so that they can be hands free to hold their drink while they dance.